In the 2014 Lok Sabha election, a whopping 8,251 candidates contested for the 543 seats in the Lower House of Parliament. Since the first parliamentary election in 1952, where 1,874 candidates filed their nominations for 489 seats, there has been a remarkable increase in the number of candidates that fight it out in the polls. The figure rose steadily to 2,784 candidates in 1971 and 13,952 in 1996 during the 11th general election to 543 parliamentary constituencies. 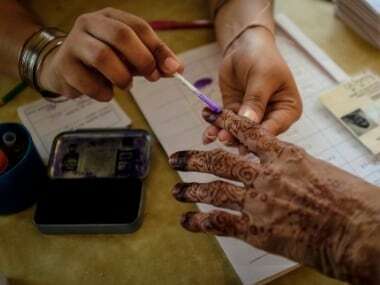 For the upcoming Lok Sabha election, the deadline to file nominations is 4 April, with the papers scheduled to be scrutinised the very next day. 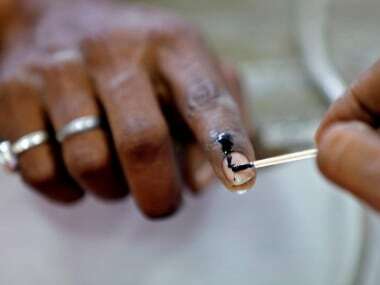 The Election Commission of India has set 8 April as the last day to withdraw one's candidature. Who can file a nomination? Anyone who is 25 years of age or older is eligible to contest an election to a Lok Sabha seat. The candidate must be a registered elector of a constituency and a citizen of India. However, if s/he is a registered voter in a particular state, s/he can contest from any seat in any state. The candidate cannot be nominated if they have been convicted for some offence and are in prison, or if s/he is out on bail, pending disposal of his/her appeal. As per the guidelines of the Election Commission, such a person is disqualified from contesting elections. 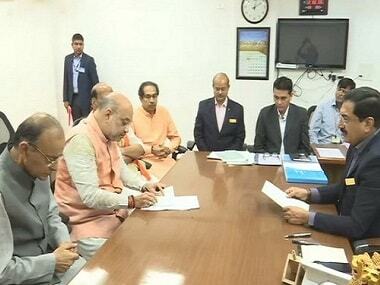 At the time of filing a nomination, every candidate has to make a security deposit of Rs 25,000 for the Lok Sabha election. 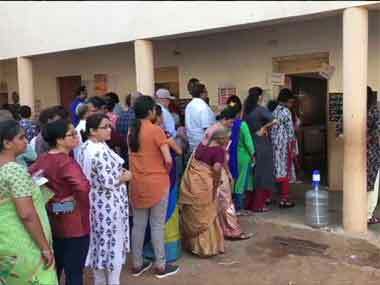 Candidates belonging to Scheduled Castes and Scheduled Tribes get a concession — they have to pay only half the amount, Rs 12,500, as the deposit. The security deposit must be made while filing the first set of nominations or before that. It can be made in cash to the Returning Officer or Assistant Returning Officer, or deposited at the RBI/Treasury. No deposit can be made with a cheque or bank draft. Lok Sabha hopefuls need to fill up Form 2A and present it to the Returning Officer, or the specified Assistant Returning Officer only. Candidates can file nominations only at the place mentioned in the public notice released by the Returning Officer and only between 11 am and 3 pm during the period specified by the Election Commission, barring public holidays. Only the candidate or any of the proposers can file the nomination; the papers cannot be sent through post or someone else. It must also be signed by the candidate and the prescribed number of proposers. In case the candidate is an elector of a different constituency, s/he must submit a certified extract of entries in the relevant electoral roll. For candidates of a recognised national or state party, one proposer is enough. But for Independent candidates or those of an unrecognised political party, s/he will require 10 proposers at the time of filing nominations. The proposers must also be electors from the concerned constituency, but a proposer can also be a candidate from the same constituency. In the case of proposers who are illiterate, their thumb impressions must be attested by the Returning Officer, or an officer authorised by the EC. How do SC/ST candidates file nomination? For reserved constituencies, candidates must submit a declaration specifying the caste/tribe they belong to. Such a caste/tribe must be included in the list of SCs/STs in the state where the nomination is being filed. It would be better if the candidate also produce a certificate of a reasonably recent date to prove their SC/ST status. Candidates have to file their affidavit in Form 26. The affidavit has to be sworn before a notary public, or oath commissioner, or magistrate of the first class. It must be typed clearly or written legibly, and no columns must be left blank. In case the affidavit is not filed with the nomination paper, it can be filed till 3 pm on the last day of nomination. While a candidate can contest from two constituencies at the most, there can only be a maximum of four sets of nomination papers for a candidate, albeit with only one deposit. If more than four nominations are filed, the Election Commission will ignore the papers submitted from the fifth set onwards.